One of the many interesting ways in which “stem cells” are named in different languages around the world is “mother cells”. For example, in Spanish, you can learn more about these “mother cells” here in ¿Qué son las células madre? 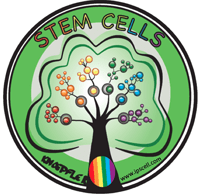 On Mother’s Day it is worth thinking about where the stem cell field stands at this time. There has never been a more exciting time than today for stem cell research and the related area of regenerative medicine. There is good reason for hope that stem cells may translate into real, proven safe and effective treatments for a many conditions in coming years and decades. The total number of stem cell trials continues to grow. While not an exact measure and as we’ve seen some minority of “trials” are really more about making money than anything else, the number listed in clinicaltrials.gov is pushing 5,000 when I search for “stem cells”. All around the world there are much-loved moms who are facing difficult health issues and perhaps the “mother cells” of stem cells in the future can be the answer to help. I get contacted by patients almost every day now and probably at least half of the patients I communicate with are women. Some are mothers inquiring about stem cells for their children who might face various conditions such as autism or cerebral palsy. Others are asking about treatments for themselves or their moms, in particular for multiple sclerosis (MS) the last few years.Today we should be careful if our moms are considering stem cells to advise them to use caution, as there are many challenges out there in the for-profit stem cell world. But it is important too to talk about real hope as the stem cell field continues to develop.